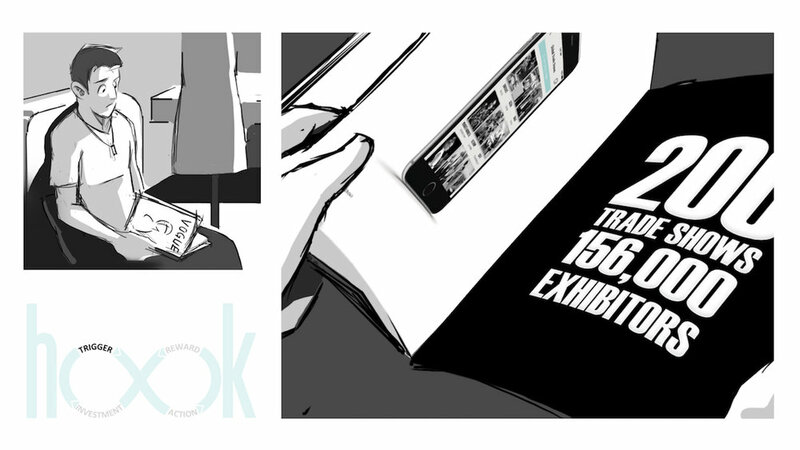 SETA is my graduate thesis – an iOS app tailored for the fashion industry to discover trade shows around the globe. Using the HOOK model to illustrate how people learn about this product and use it. 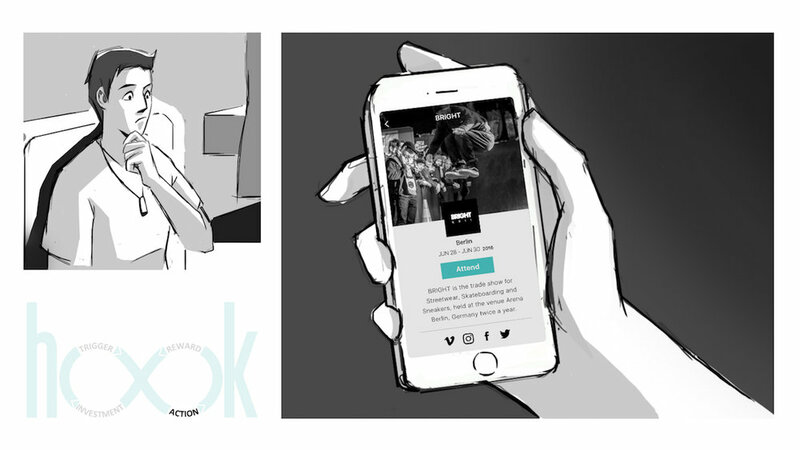 External trigger (ad campaign from a fashion magazine) alerts users and sparks for a behavior that gets the user into the product (the app). When a reward (being accessible to global vendors with the tap of an app) is anticipated, user downloads and tries the product. User will become the loyal customer, invite new people into the system, give feedback on features, etc.